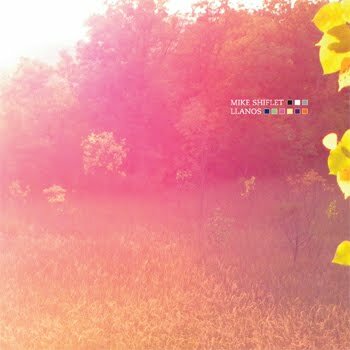 Today’s featured artist turns to be Mike Shiflet, an Ohio-based ambient musician, whose self-released album “Llanos” is really mind-explosive. What makes me glad in his work is the softness of the noise structures – they don’t make you throw your headphones away, but keep you cosy and warm. If studying the name of the album, we can learn, that Llanos is a vast tropical grassland plain, located to the east of the Andes in South America, and may be a travel to this place appeared to be the “inspiration-agent” for the artist. All these noisy hisses, against the background of hardly distinguishable ambient melodies, may represent the chirring fauna in this location. The album is full of energy, and sometimes overdriving energy, as in “Sunbathers” – there seems to be some boiling and hissing. However, the most of the tracks are like quiet, crackling spheres, with slightly ringing drones and some kind of radionoise. In the whole, the work produces pleasant, sunny and warm impressions, as if their noise particles, in the process of friction, generate heat radiation. So, have a nice listen to Mike Shiflet’s “Llanos”. Willy Stamati is an experimental noise ambient project from Donetsk, Ukraine, and “La Folie En Bouteille” is one of his albums, which is dedicated to absinth. 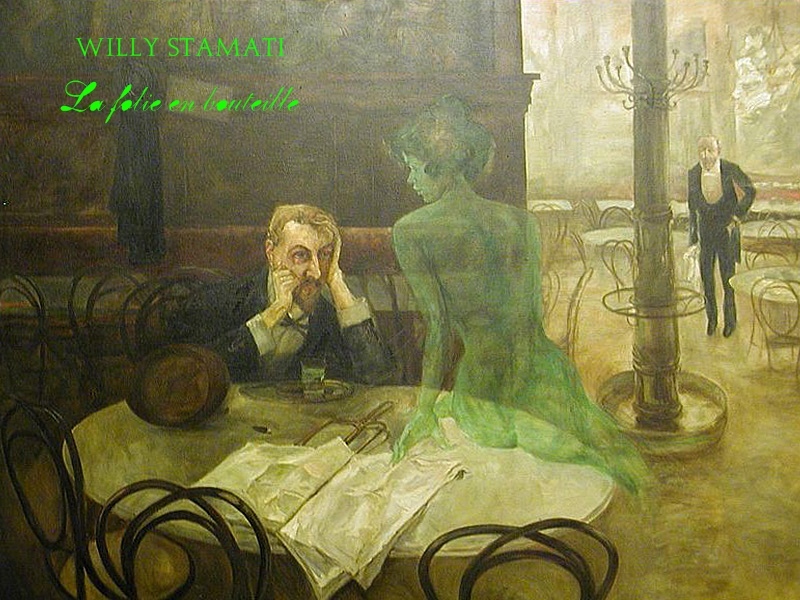 On the cover picture you may see the painting of Viktor Oliva “Absinthe Drinker”, where the green muse (“La Verte Muse”), perhaps, gives inspiration to the lover of this beverage. 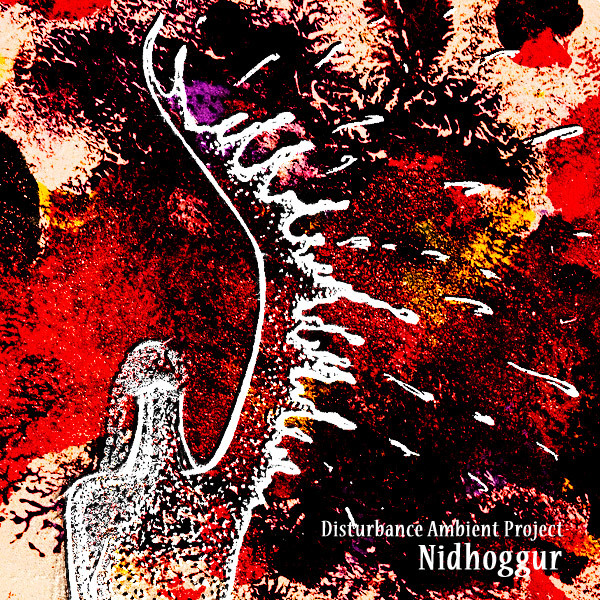 All of the four tracks of the album are connected with absinth, and their sounding reveals, that certainly it is not a very blissful experience – you can feel some kind of heaviness and doom in these distorted drones, fuzzing and crackling. But inspite of these hard feelings, it is obvious, that it is a good specimen of experimental music with interesting transitions, solutions and textures. Meet the Green Muse with Willi Stamati. Bardoseneticcube is a dark ambient project from Saint Petersburg, which nowadays ceased its work, but in spite of it, musicians continue their activity in other projects and collaborations. Today’s target of my reviewing is their album “Time Of Mars”. It begins with strident high sounds, that adjust a listener to some dark kind of mood. 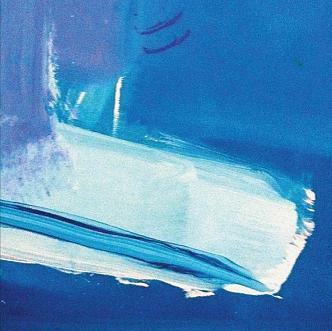 All tracks are untitled, however, they are rather expressive. You can feel a little bit prostrated and lost in a spacious cavern of subconsciousness. You are surrounded by unknown echoes, that attack you from every quarter. These sounds are aggressive, that could be the reflection of a possible conception of the album: Mars is a god of war, and now his time has come. Bardoseneticcube’s work is full of this brutal vibration, that strikes through all of your mind and body. Another feature, that is evident, is wide spectrum of all kinds of sounds – from resembling screams – to resembling bursts. You can hear harsh noises, sharp sqeakings and buzzing; all of them are synthetically made, but they successfully reveal the main idea – the time of Mars and everything, that accompanies this terrible phenomenon. I must specify, that this idea of the album’s conception is just my point of view, and it can differ from the authors’ creative intentions. 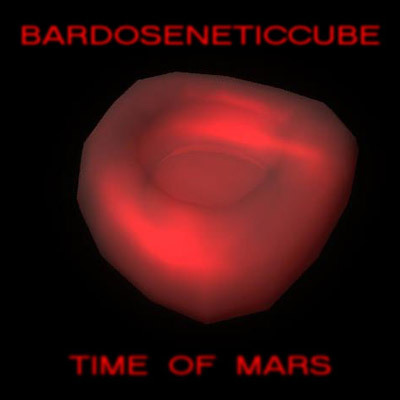 It is obvious, that Bardoseneticcube’s album is an important contribution into the field of experimental music, and I recommend you to make the acquaintance of this work. Total destruction. Ubiquitous death. Apocalypse here and now. 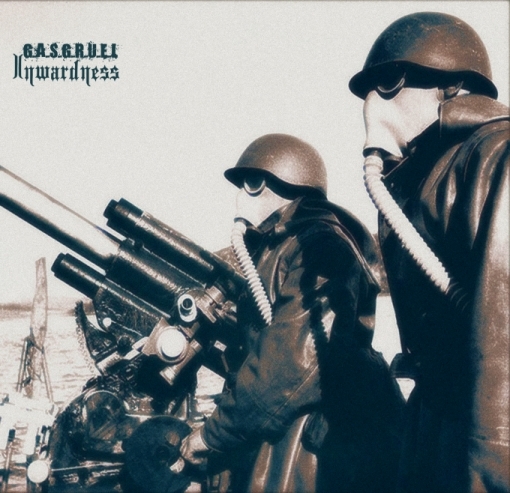 Gasgruel’s music makes us aware of the danger of our dark sides. His work “Inwardness” gives a picturesque view of war and its horrors. There is not so much information in the Internet about the author, which hides behind the pseudonym Gasgruel, but it is known, that he comes from Kaliningrad, and the project was founded in 2005. Album “Inwardness” is released on Liminal Recs label. 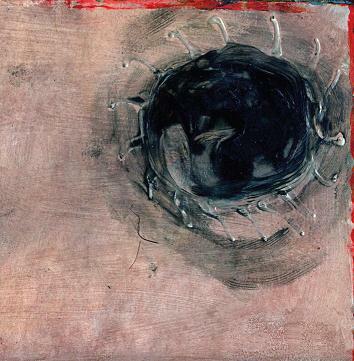 The first thing, that bursts upon the eye is the stratified and rather complicated texture of the sonic narration – sounds of shooting weapon, suffering people, damped conversations, explosions, much noise are mixed into a terrible sense attack, creating a picture of a bloody battle – a result of allowance of human stupidity development, which may certainly be its inwardness. All this seems to be the musical embodiment of Erich Maria Remarque’s “All Quiet on the Western Front” and other of his novels, which through naturalism try to awaken people’s mind and to show, that wars occur like an avalanche – from an insignificant snowball to a shattering great mass. From greed and wish of power to killing. In one of Gasgruel’s interviews, he says, that gold is dust. Furthermore, he adds, that we shouldn’t live for earning money, because we don’t have so much time for wasting it on such trifles. I completely agree with him and support the idea of his album “Inwardness”. Almost 40 minutes of death, fire and tortures reveal the self-annihilation potential of our modern world. Almost 40 minutes, that must make us become deep in thoughts.